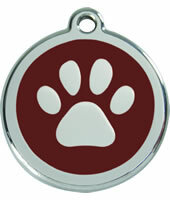 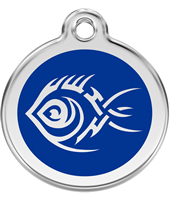 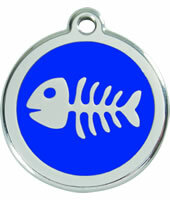 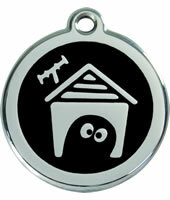 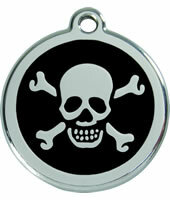 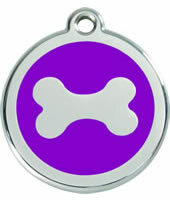 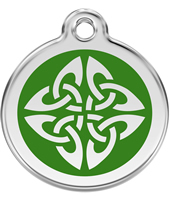 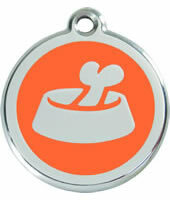 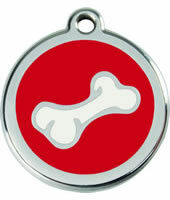 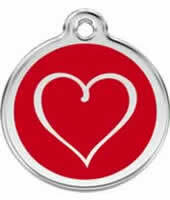 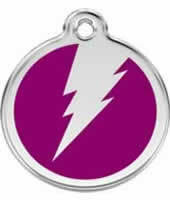 These Red Dingo Medium Dog Tags are solid stainless steel with enamel and come in a range of designs with a choice of background colours. 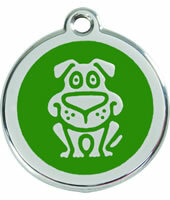 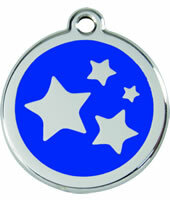 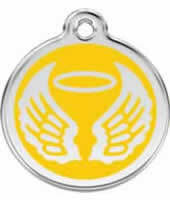 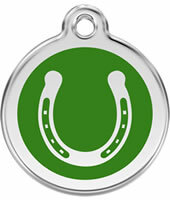 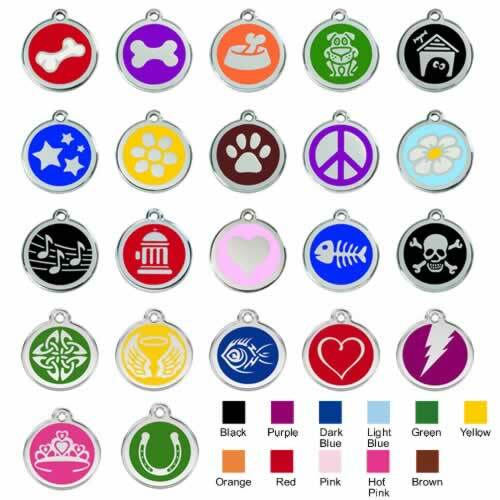 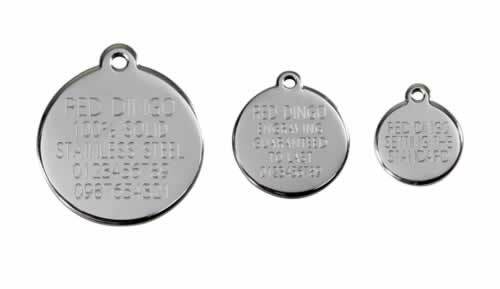 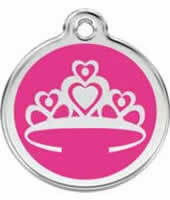 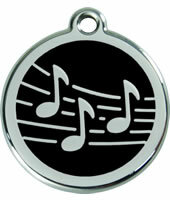 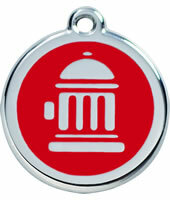 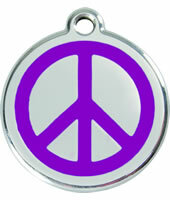 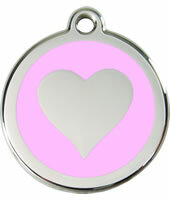 These medium dog tags allow for up to 5 lines of text with 16 characters per line and are 1 1/4 inches / 3 cm's in size and include split ring, free engraving and delivery (please allow 10 days for delivery). 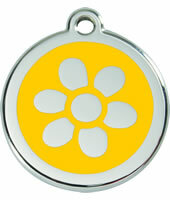 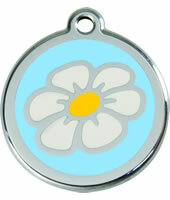 Huge range of colours and designs.